We needed a recording that would capture the essence of our live performance and at the same time be accessible to a wide audience. LaunchPad Studios delivered. John and Mike were able to understand our needs and own our vision for record. We’re constantly receiving high praise for the sound on that album and we owe it to LaunchPad Studios for making it happen. We highly recommend this studio for your next recording project! LaunchPad Studios is a great asset to the Denver music scene. I recorded an Acoustic EP, something I needed when I perform solo, and they helped create the best version of that vision I could imagine. They work well with a DIY budget, but are very professional with their work. I felt I received the best quality of time and service from them. Working with the Recording Engineer, Caleb Thoemke was a great experience. Tracking was energizing and he allowed me to explore my creativity as somewhat of a producer would. I’m confident I got the best takes, due to having someone else in the same room giving constructive feedback. Mike, Mixing and Mastering Engineer, was very efficient and aware of my timeline. He even worked through the Holiday Season! Very thankful for that. He was quick to respond to feedback and made alterations easy and stress-free. His gear is of the top quality in industry standards, but allowed the trueness of the recordings and rawness of my takes to shine and remain authentic. I highly recommend any Singer/Songwriter to work with them for a great sounding demo or professional quality EP! I had the privilege of working with John and Mike at LaunchPad Studios in creation of my debut album in 2010. From scratch track to CD jacket they were there to help me see my project through to completion. Making my dream of an original album both affordable and enjoyable – I couldn’t have asked for a better studio to work in on this project. Hold Hope is an album anthology of years of personal journey in music and they helped bring it to life and make it shareable to the masses. I would highly recommend anyone that needs a great recording space, engineers who won’t cut corners on quality or a set of production ears to give quality musical feedback….these are your people. Thank you LaunchPad…..until next time! LaunchPad Studios is a quality and professional recording studio that any artist or band would be extremely pleased to have worked with. I have personally worked with LaunchPad and found that when it came to getting my project done in an excellent manner, LaunchPad was the place I could count on. The folks at LaunchPad really care about the artists they work with and have a desire to deliver the best possible product. They completely take pride in the work that they do! If you are a band, solo artist, or anything in between…I highly recommend that you consider LaunchPad studios for your next project. After over a decade of writing songs and praying for opportunity, I just recorded my first professional sounding CD at LaunchPad. They were highly recommended to me from several trusted friends as providing quality far surpassing their price. During my initial meeting I was immediately put at ease when I was told they could assist with selecting songs and picking appropriate instrumentation. As a worship leader and singer-songwriter, I often don’t think in terms of production values, so this was definitely a relief! Over the course of a few sessions the songs began to take shape. I truly appreciated their guidance of what elements would make the songs sound the best. And now, after all these years, I finally have something I can be proud of and will share with as many people as I can. Now that I’ve heard the level of quality LaunchPad is able to achieve, I already can’t wait to do my next recording project with them. As a Battle of the Bands prize The Conflict Between was introduced to John Connor of LaunchPad Studios and quickly appreciated his professionalism, confidence and organization. John did a great job of going over our vision and goals for our first album taking a genuine excitement in our bands success as well as our first album experience. The whole process was amazing. LaunchPad Studios is professional and excellent in productions and equipment, making you really feel supported as a band and team. This studio was aggressive in ensuring our album was completed in a short amount of time, while never sacrificing quality. John took a hands on approach in helping with production and ideas to make the album excellent! It was a great pleasure as well as blessing for The Conflict Between to record with LaunchPad, and look forward to the next opportunity! 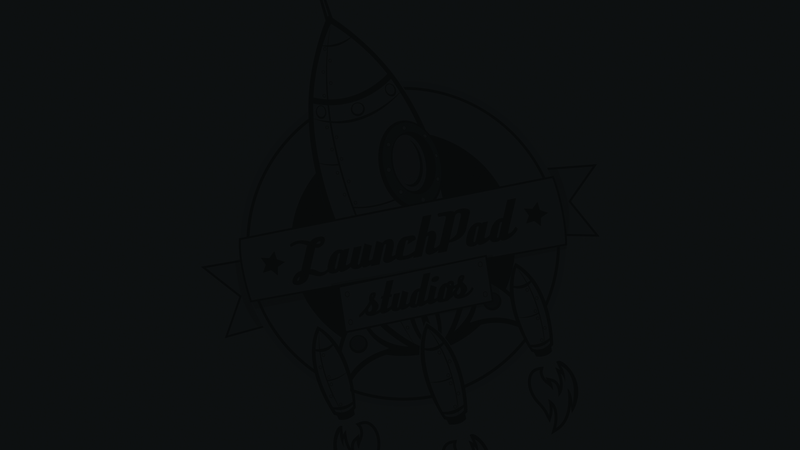 I’ve had the privilege of working with LaunchPad Studios on several projects over the past 3 years and it was been a great experience! They bring professionalism and creativity together to create a great product. I love the comfortable feel of the environment as well as the confidence that the end result will be the best possible sound. With each album I record with them the quality and engineering just gets better and better! If you’re thinking of doing a single, an EP, or a full length album, these guys are great and they’ll bust their butts to make it happen for you.